Qantas Replaces Boeing 747 with 787-9 Dreamliners. Qantas has confirmed the options of six additional Boeing 787-9 and has announced that it will retire whole Boeing 747 fleet by 2020. Once delivered, the new jets will take their 787 fleet to 14 units, which will have a common configuration of 236 seats and will have GEnx General Electric engines. 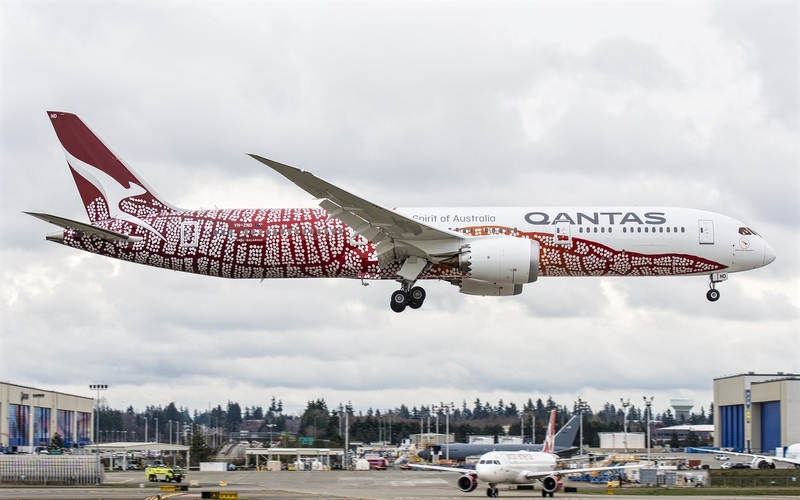 Qantas has four 787 in service, and four more will be delivered before the end of the year. The new batch will be delivered from the end of 2019 until mid and late 2020. The arrival of these aircraft will facilitate the withdrawal of their remaining 747-400, the youngest will be 17 years old by 2020. Qantas has four 747-400 and six -400ER in service, the oldest of which is 25 years old. "With the passage of time, each new version of the 747 allowed Qantas to fly further and improve what we offered to the passengers, the Dreamliners are now doing the same," says CEO Alan Joyce. "The 787 has a better economy and a greater reach, and has already opened new routes like Perth to London, with a larger fleet of Dreamliners, we will look for destinations in America, Asia, South Africa and Europe." Qantas is also moving forward with its 'Project Sunrise' project, which is expected to place an order for Airbus A350-900ULRs or Boeing 777-8s to allow it to operate non-stop flights from the east coast of Australia to Europe and the west coast of the United States. The airline has said previously that it plans to place an order in 2019, which allows delivery of the aircraft around 2023.